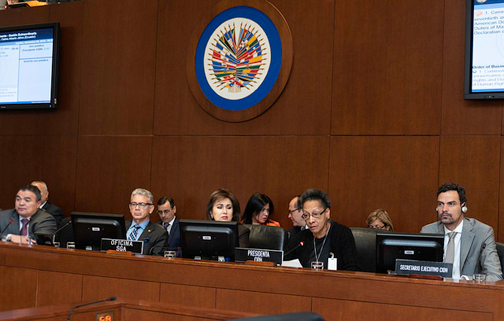 The Permanent Council of the Organization of American States (OAS) today commemorated the seventieth anniversaries of the American Declaration of the Rights and Duties of Man and the Universal Declaration of Human Rights, at a special session during which member states highlighted the importance of human rights for human dignity, democracy, freedom and equality. The American Declaration was adopted in 1948. Its origin dates back to the Inter-American Conference on the Problems of War and Peace held in Mexico City in 1945, where the countries of the region supported the idea of establishing an international system to protect human rights.